Every Zodiac sign has its own strengths and weaknesses; positive and negative traits. But, it seems to me that Taurus (04/20 – 05/21) has the most admirable qualities of all the Zodiac. 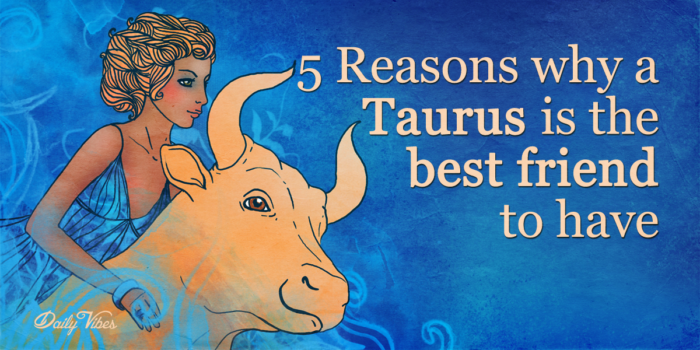 Below are 5 reasons why a Taurus is the best kind of friend to have. Taurus is the most loyal sign, so they value meaningful relationships of mutual respect and love. This wonderful trait outshines the stubbornness and ‘know it all’ nature of our bull-headed friend. 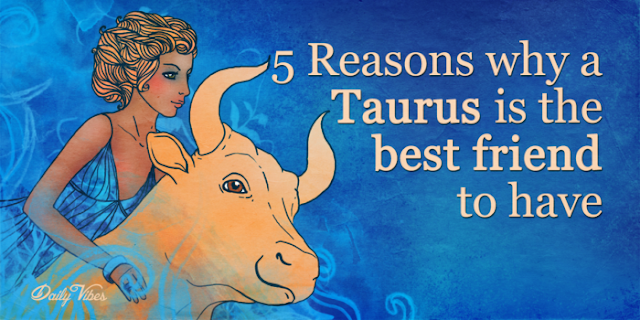 Taurus is a lifelong learner and will take opportunities to cultivate their minds. And, they’re not shy about telling you what they think and what they know. One of the things they know is that relationships are some of the most important things in a person’s life. And, they will work hard to be a great friend! Your Taurus friend will laugh with you, at you, and at themselves. It’s all in good fun, because they know life’s too short not to laugh. And, who doesn’t love a good laugh? Taurus is the least judgmental of all the signs, but that doesn’t mean they won’t tell you that you look awful in that dress. They won’t say it to be mean, but to be helpful. So be yourself, you’ll find a great listener and supporter in a Taurus. Stubbornness is the classic Taurus trait. While stubbornness might be bad in some instances, it can be great in others. You know that trip to Hawaii you had planned? Well, something happened that grounded all flights. Just call on your friend, Taurus, and he/she will get you there if he/she has to rent a bow and row you there themselves!